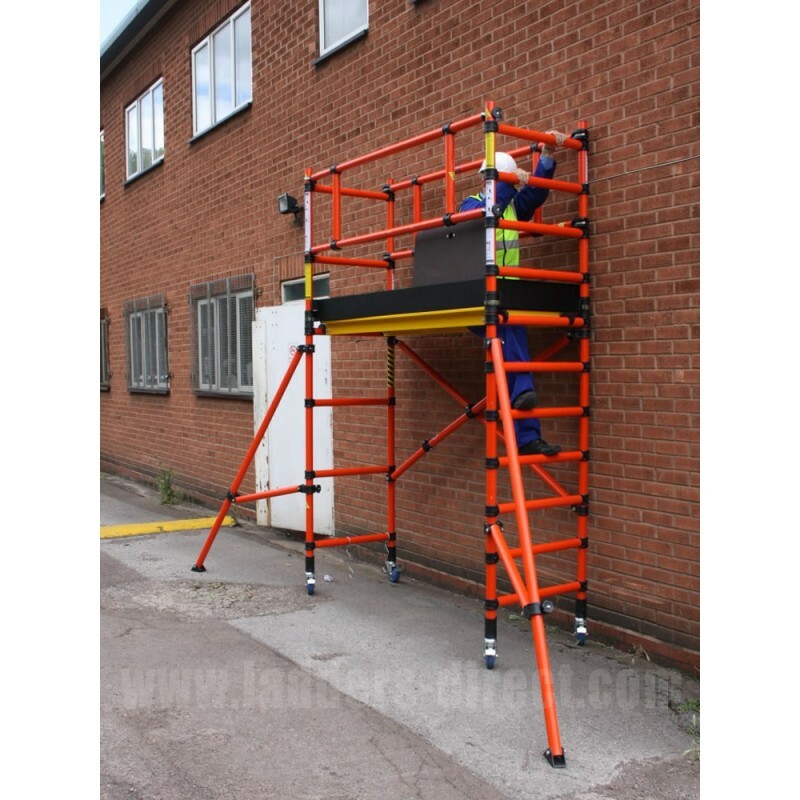 Comprising of a Foldable Scaffold Frame, a Trap Platform, Horizontal Brace and four lockable Castor Wheels the GRP Folscaf Unit offers a flexible and manoeuverable access solution. The Clow Fibreglass Folscaf is the ideal equipment for work within environments where there is any risk of exposure to electrical power or chemical agents. 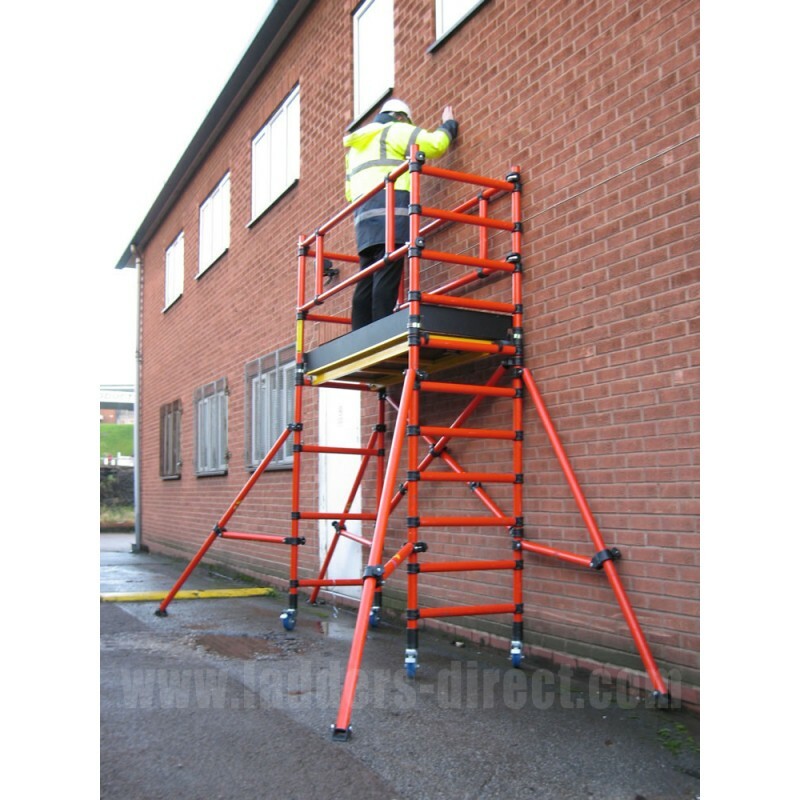 The non-conductive and non-reactive glassfibre structure provides an inert, stable and lightweight scaffold which offers safe insulation from electrical power and a non-corrosive structure capable of handling exposure to chemical agents. 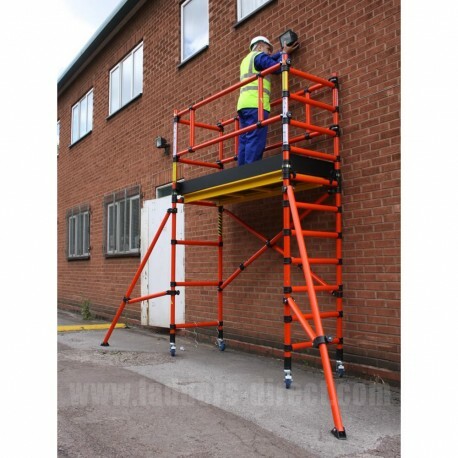 The one piece folding base section of the Clow Fibreglass Folscaf ensures that the bottom of the platform is always erected correctly using the minimum number of components. 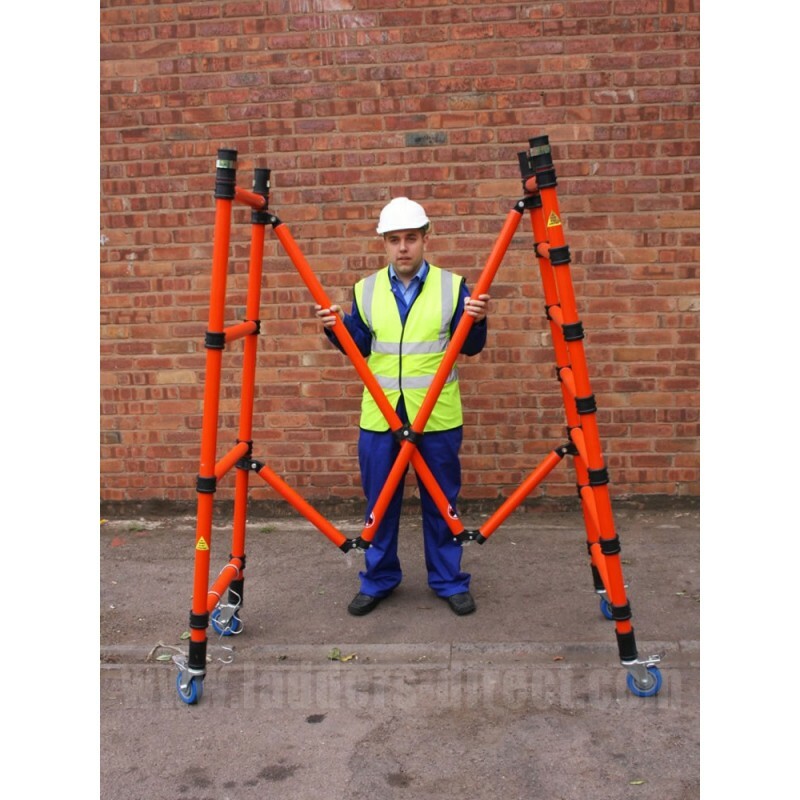 The platform itself can be positioned in 500mm increments up to a maximum of 1360mm on the standard unit. 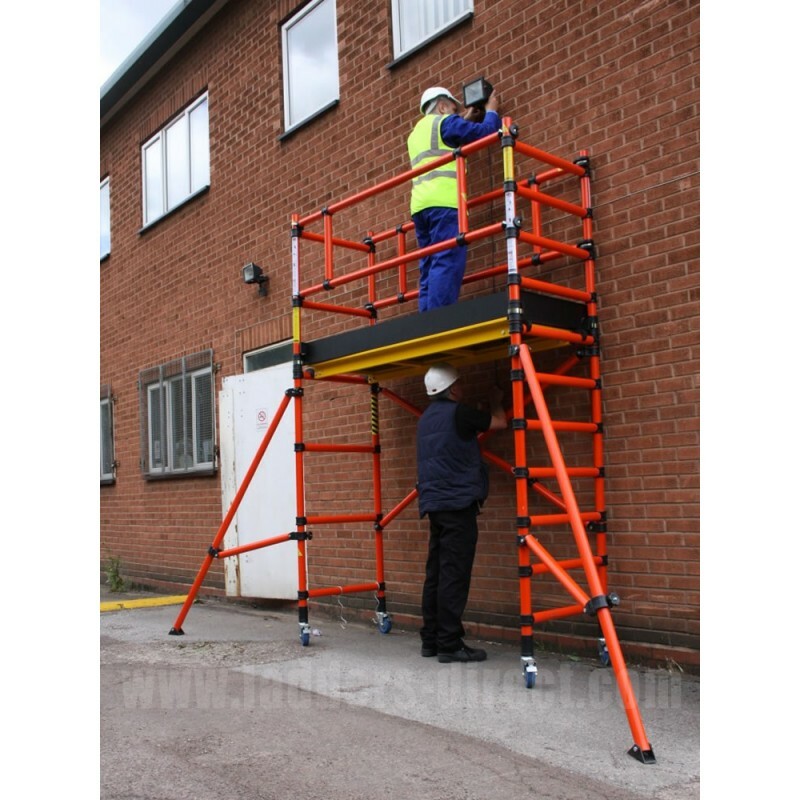 To allow safe access to the platform one side frame has rungs fixed at 250mm centres with a serrated, non-slip surface for a sure foothold. 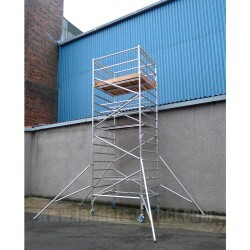 This mobile folding scaffold provides platforms heights of 360mm, 860mm, 1360mm depending on frame configuration.